From 12 to 15 February 2016, the Fine Jewelry Hall B1 will surprise the trade audience through its completely new appearance. 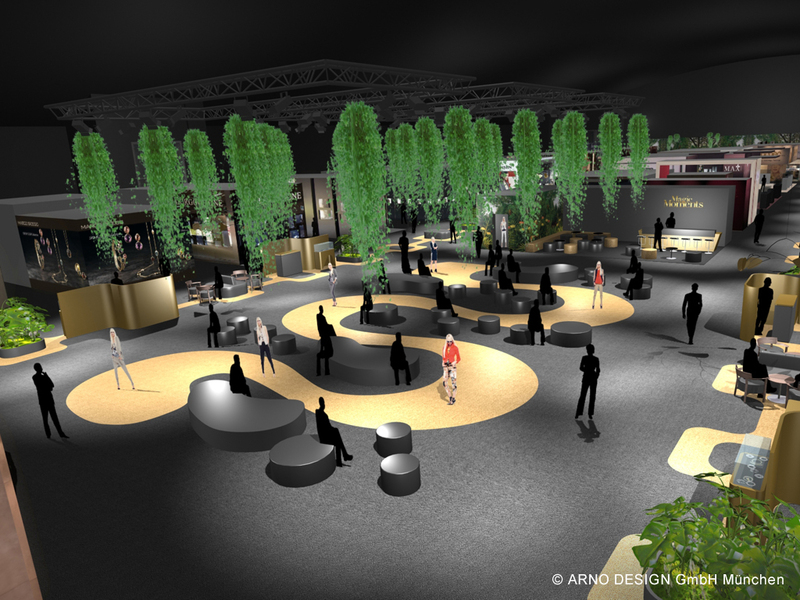 An innovative design concept enhances the first-class ambiance and positions the exclusive collections of the exhibitors even more strongly in the focus. To round off this world of experience for exclusive jewelry, selected preciosities will be presented on the catwalk during a live fashion show. In addition, INHORGENTA MUNICH is expanding its fashion-show concept, which was successfully initiated in 2015. The elegantly swung catwalk in the center of B1 forms the heart of this Fine Jewelry Hall: Here, models will present new creations of the exhibitors to the audience at live fashion shows during which the jewelry worn by the models will be simultaneously displayed on large screens. 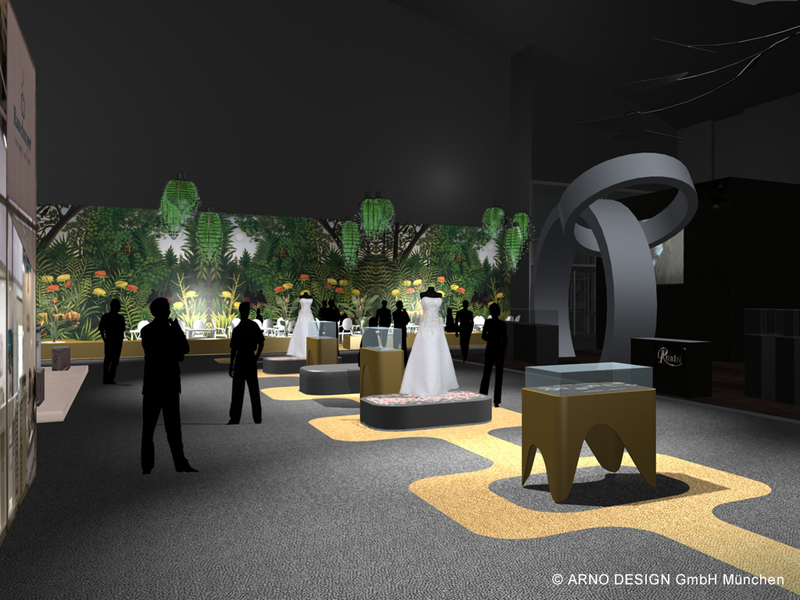 Moreover, Hall B1 will be inspired by the jewelry theme “Wedding rings”. Exhibitors will show their collections and exceptional creations; classics can be found here just like the trends of the coming season. High-quality showcases in the central aisles additionally offer the possibility of staging jewelry highlights individually – a design element which is also reflected in the presentation of the watches in Hall A1. Generously designed lounges invite trade visitors in Hall B1 to stay and have informal conversations. Of course, visitors will also have the opportunity to enjoy culinary delights: In future, they will be awaited by a new Käfer gourmet restaurant in an exotic setting. Thus, the redesigned Hall B1 of INHORGENTA MUNICH 2016 will offer exhibitors and visitors the perfect ambiance for a successful and inspiring trade show.